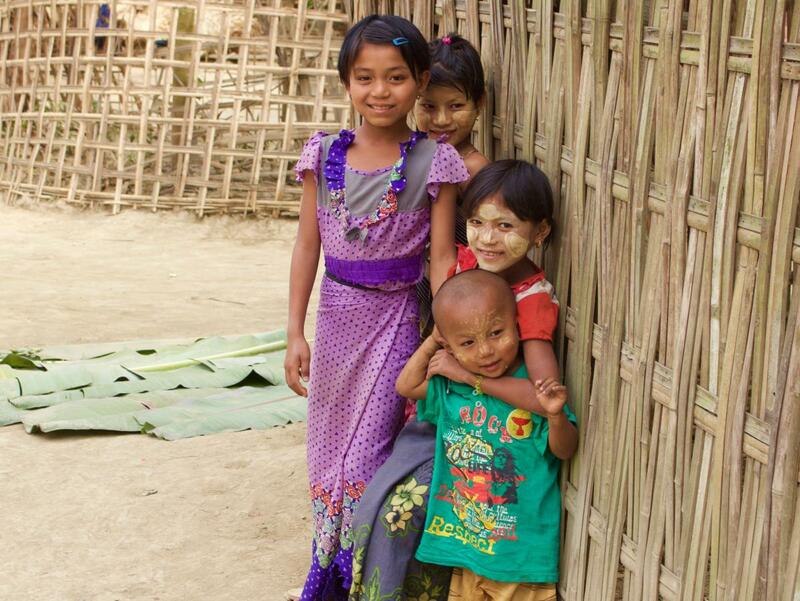 Phara Gyi is a riverside village of mostly Rakhine people in a remote area of Arakan State near the Chin State border. To get there from Yangon, fly to Sittwe, then take a five-hour boat trip upriver. The next day, a three-hour combination boat and car trip will get you there. This village of bamboo and thatch had no school when BSB became involved. 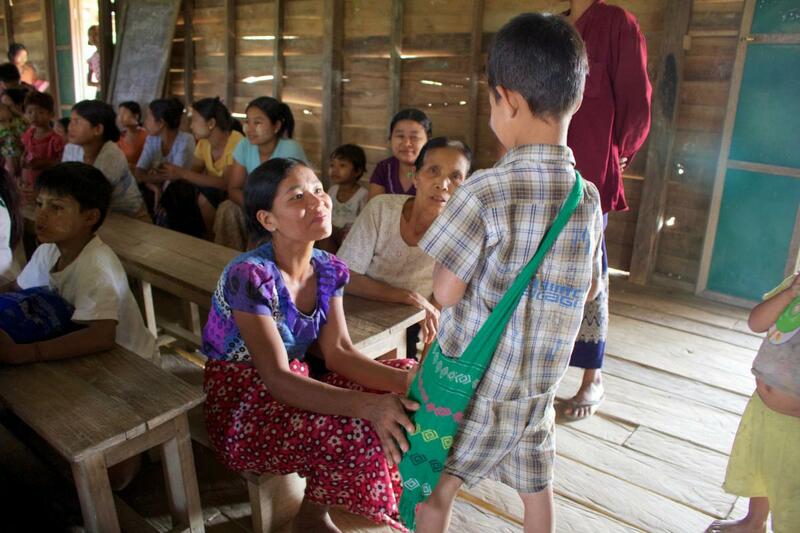 With partners Shwe Zedi Monastery and the village school committee, a primary school large enough to accommodate 100+ students was completed in 2013, but an unexpected 180 children showed up for the first day of school! As this was a community school without government support, BSB decided to finance an additional teacher to help with the crush of students. In 2014 BSB provided additional funding to build tables and desks, add a toilet and repair roof damage from a seasonal storm. Remote Phara Gyi village had no school for its many children. 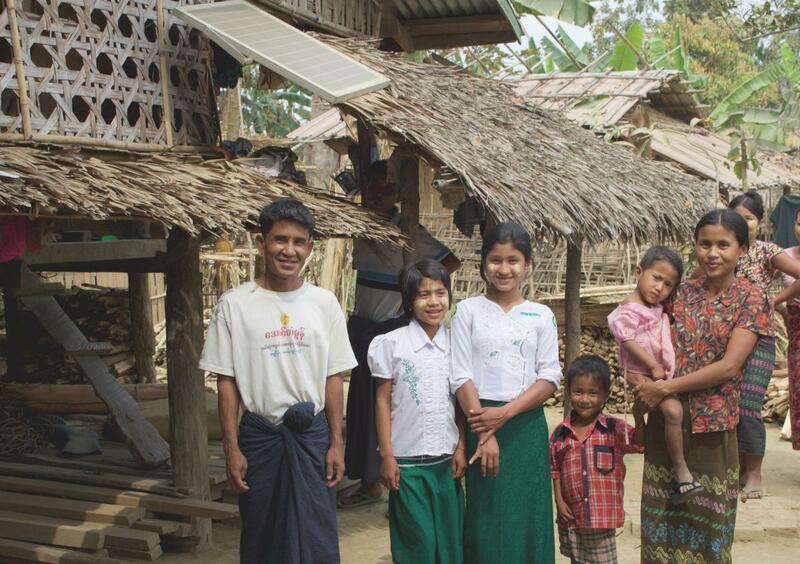 Working with a large monastery school BSB helped them build a school for 120 students. Phara Gyi Remote Phara Gyi village had no school for its many children. 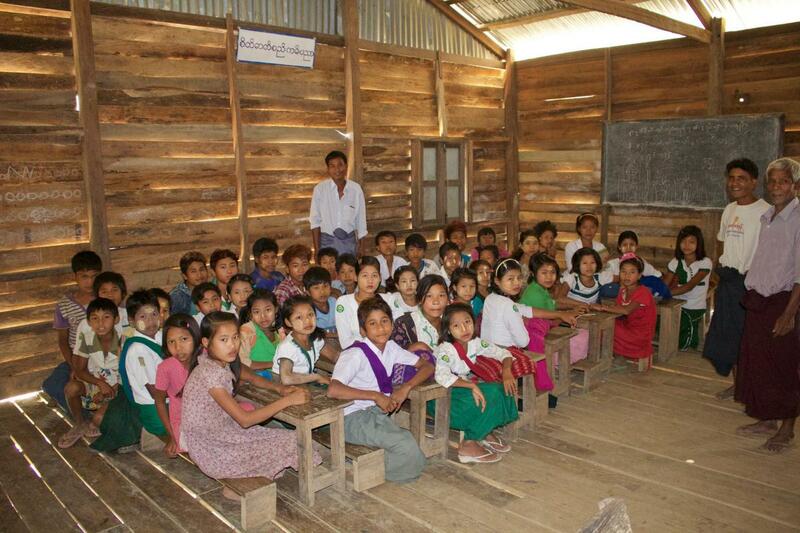 Working with a large monastery school BSB helped them build a school for 120 students.